This is my rendition of the Bonefish Grill Bang Bang Shrimp appetizer that everyone raves over. The outside of the fish is crispy even with the sauce, while the fish is tender and moist. and set aside. Fix whatever else you plan to serve with the fish and have it ready on the plates. Place a couple of pieces of lettuce next to it. This will be the bed for your fish. Heat the oil in the skillet. 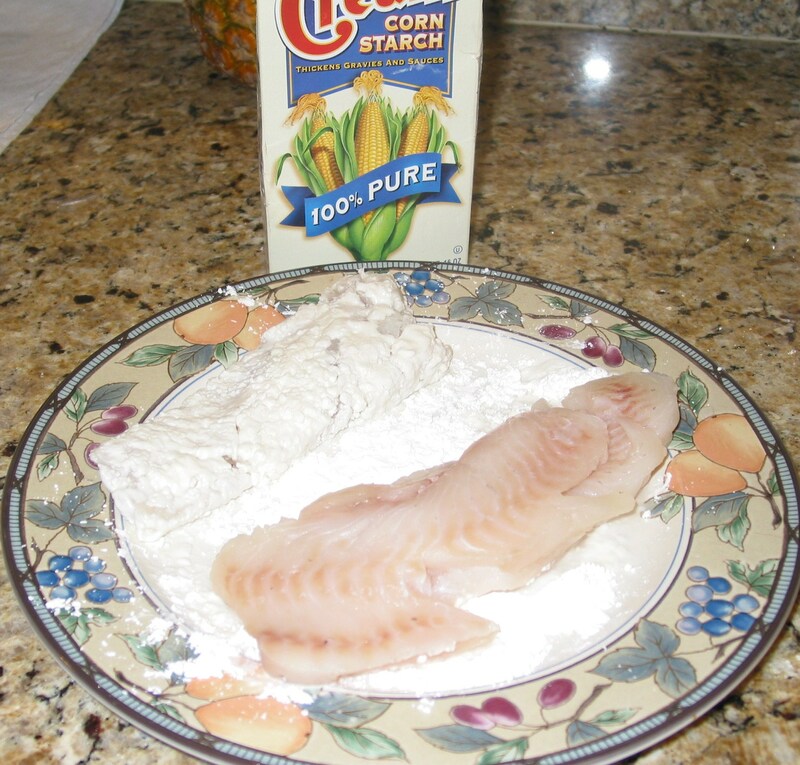 Wash a piece of fish in water, shake it dry (a quick shake) and then place it on a plate with cornstarch. (You want the cornstarch to be dry.) Cover both sides and put the fish in to fry. Quickly do the same with each piece of fish. By this time the first piece should be cooked on one side. Turn it over and as the fish browns, turn each one. Once they are done, divide the fish in two portions and place one on each lettuce bed. Cover the fish with the sauce. Serve immediately. p.s. 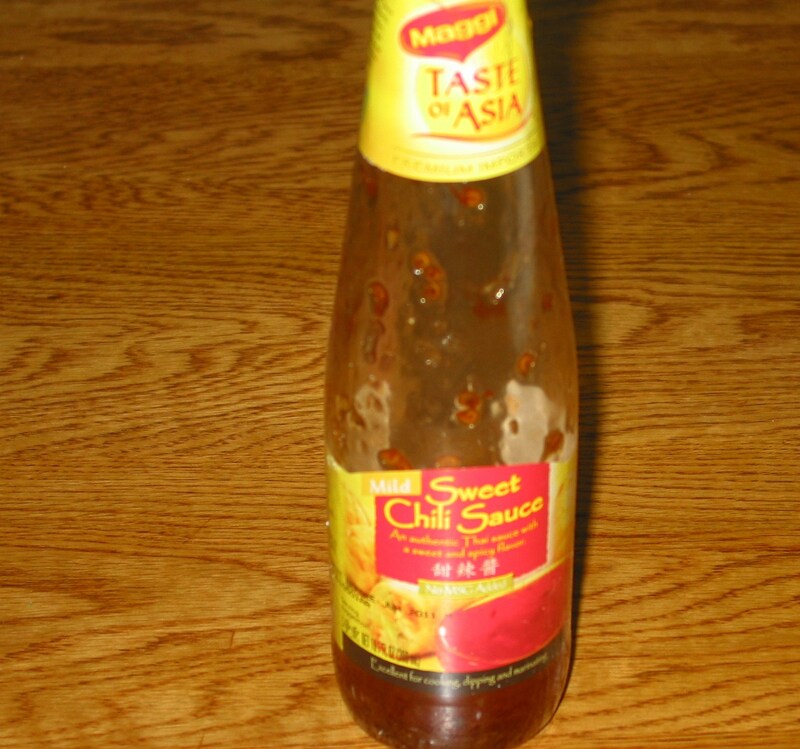 I served this with a broccoli/garlic/noodle stirfry and sprinkled some black and white sesame seeds over it. I also placed a couple of slices of ripe mango on the place. YUM! 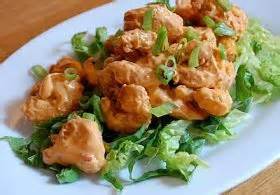 This entry was posted in Recipes and tagged Bang Bang Shrimp, easy recipe, Fish recipe, Thai food. Bookmark the permalink.